You know on those September days where it’s still hot and summery during the day and cool and crisp at night? 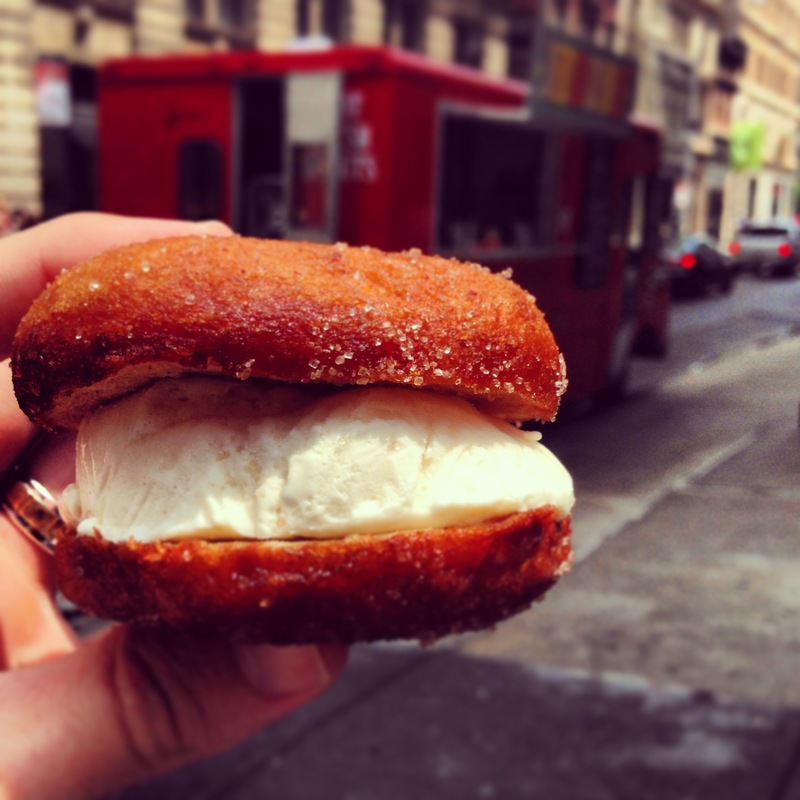 That’s what the FroDo is like…straddling summer and fall with its refreshing vanilla ice cream on the inside and its outer layer of an apple cider donut. 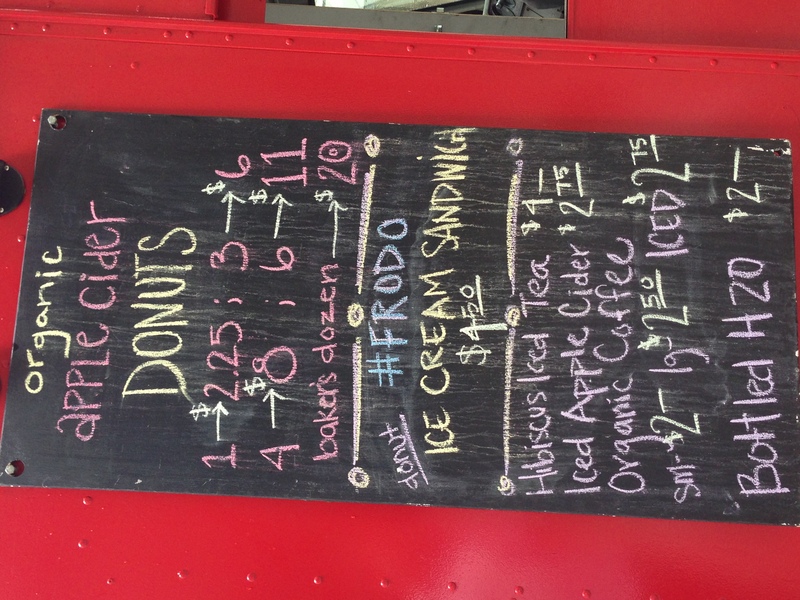 Some of the other establishments that make a FroDo don’t have both elements compliment each other like the vanilla and apple cider do….instead opting for a plain, old fashioned donut with an interesting ice cream flavor in the middle. 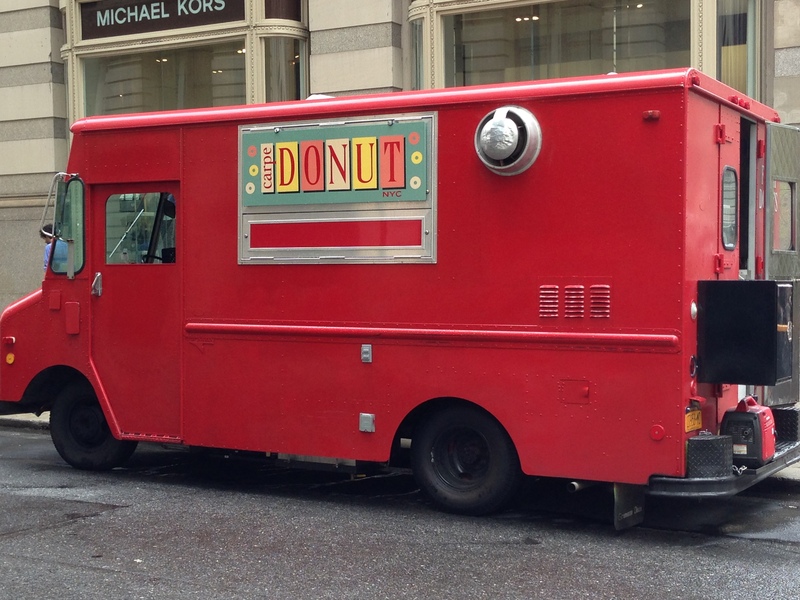 This makes the ice cream the hero and the donut the side kick, versus giving the donut the spotlight (an exception being vanilla ice cream in Peter Pan Bakery’s red velvet donut). And at places like Holey Cream in NYC, they let you pick your donut and icing/glaze/sprinkle toppings which can get super sweet and exceptionally messy. 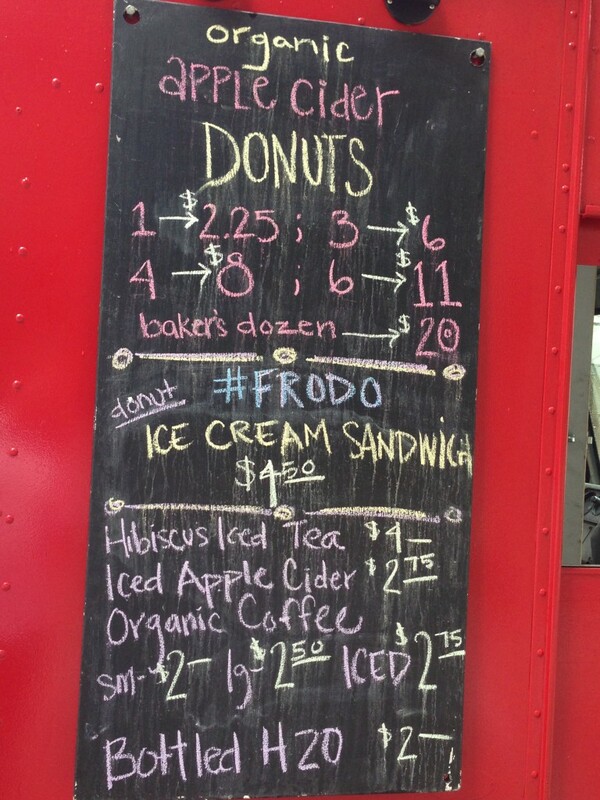 These FroDo’s keep much tidier. The perfect combination to slowly usher out summer and slide into fall.